Alas, it is more common than desired... What is it, you ask? Tonight I fell victim to this awful type of running. *ICK* But, tomorrow, it will be better! Ditto. This was me on Tuesday. Thanks for visiting! You're a rockstar! 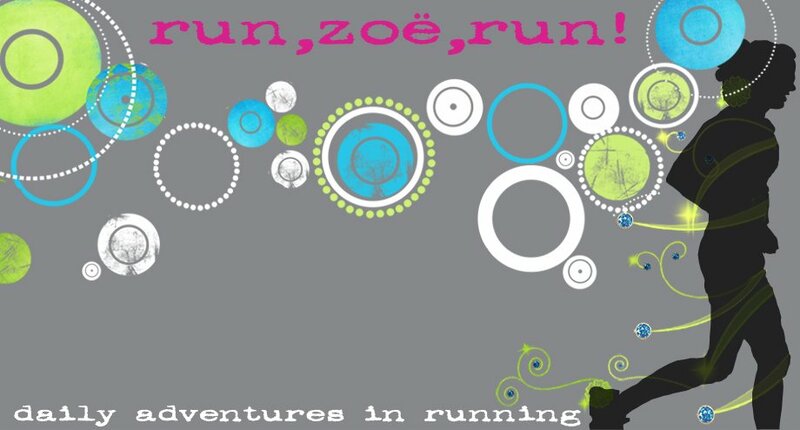 New slogan for Run, Zoe, Run! Bumper stickers HERE and awesome tees to come! U like me! U really like me! Did I just run in Cape Cod?? How 'bout a day off? Who would like a giveaway???? Disneyland Half Marathon - This One's for Dad!